When we are in Buenos Aires, my sister-in-law S who knows I love to eat, always organizes a lunch. Once, it was at the hip little Bar 6 in Palermo Viejo which has since been one of our favorites. Another time, our visit coincided with her birthday, and she hosted a fun Mexican themed party at her lovely home. 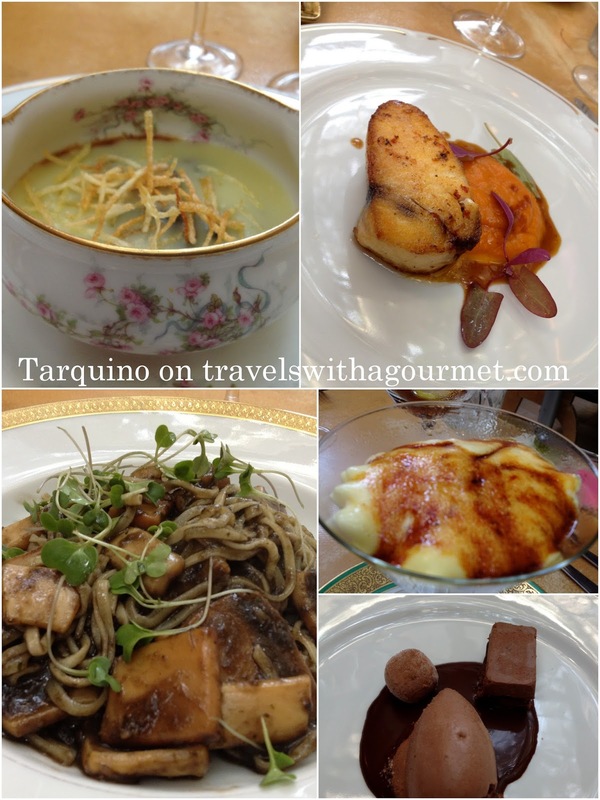 On this trip, she and her daughter C, took me to Tarquino, located in the quiet boutique hotel Hub Porteno in the chic Recoleta area. The restaurant is hidden off to the side where we walk through a dark and cozy bar towards the light-filled glassed-in courtyard where a large tree is surrounded by tall furry mushrooms that look like mini truffala trees from the movie “The Lorax”. This whimsical decor is echoed in the multi-colored tassels hanging over the tables and the mobiles of colorful birds hanging up near the ceiling. Here, the young up-and-coming chef Dante Liporace has come up with a creative menu showcasing the mostly meat-centric cuisine of Argentina. Since their menu changes with the seasons, what we ate that day may no longer be on their current menu. Lunch was very quiet, we were the only ones there so it was a good thing they had a very reasonable three course set lunch (wine and mineral water included) which gave us a chance to sample the menu. 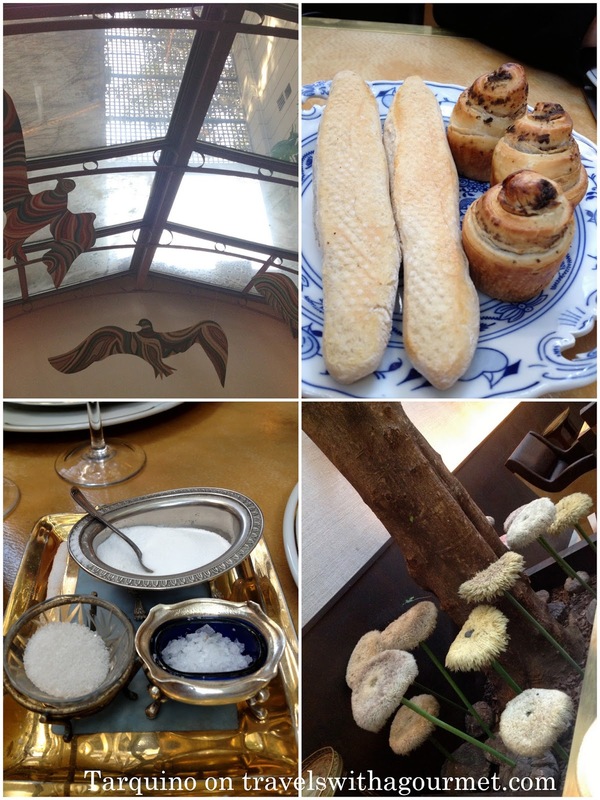 As soon as we ordered, a silver tray was laid on the table with an assortment of sea salt along with a plate of warm homemade breads – baguette and olive. I had the soup – a creamy potato leek topped with crispy shoestring fries which was fine, followed by what was listed on the menu as Fish from the River – calamari pasta with squid ink which was delicious. Portions are quite generous so I dent quite finish my main course to leave some space for dessert – a martini glass of caramelized foam, lemon reduction and milk ice cream which is the chef’s take on the classic flan. The food was good but I expected something much more modern from a chef who has trained in Spain in the kitchens of modern masters Pedro Subijana and Ferran Adria. Perhaps, a second visit at night when the place has a bit of buzz and noise would be good so I we can try some of those other dishes that most have been raving about.